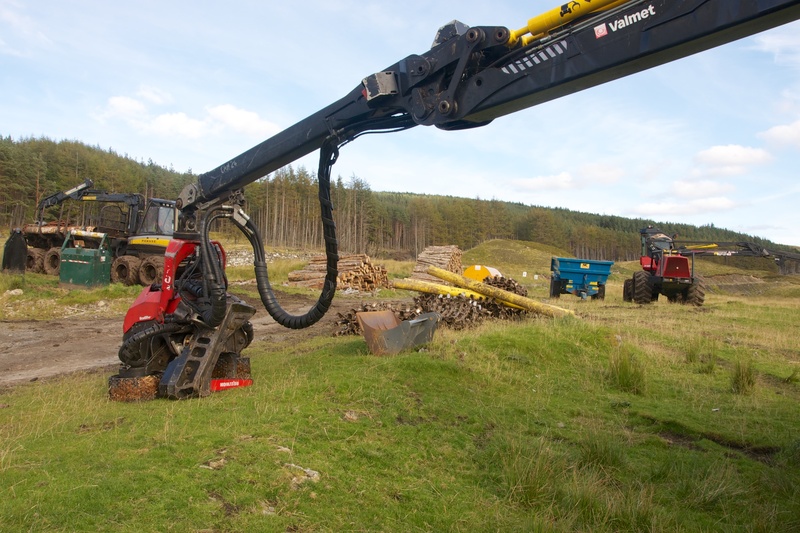 The timber cutting team are moving out, bringing the season’s work to an end. They have done an excellent job in difficult circumstances, slowed down a lot by the appalling weather. There is still plenty of timber stacked by the road to be collected and that will take another 2-3 weeks. But after that, there will be no more timber lorries over the winter. With luck, one more summer will see us complete the thinning work on one side of the river. There is till much debate about the other side; how to gain access and extract timber across the river, and how much timber to extract? I’m not sure whether we will find sensible answers in the short term. We may have to wait for timber to be worth rather more to cover the costs of access roads. This entry was posted in Uncategorized and tagged Croick, timber. Bookmark the permalink.